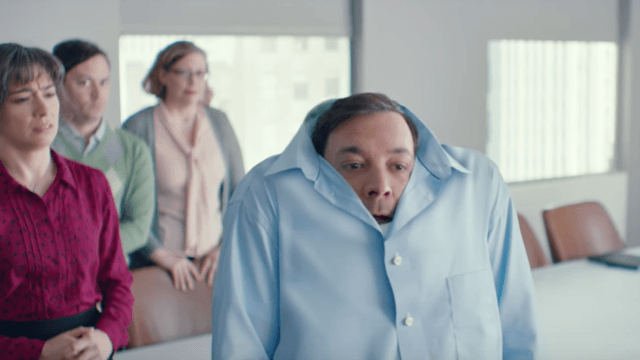 It's too bad this 'Turtle Shirt' from 'SNL' isn't real, because we'd buy a whole bunch of them. I remember so many awkward moments when it would have been great to disappear completely—or, failing that, just hide. Maybe you've had similar experiences in social settings. Why isn't there an easy way out of embarrassment? Well, there would be if this "Turtle Shirt" from Saturday Night Live were a real product. At the moment, we'll have to settle for laughing about the possibility, but maybe... someday... look, I can dream, can't I? You know who could really use one of these? Sean Spicer.